We have revealed the winners of our annual photography competition ‘Capturing Ecology’. With images taken by international ecologists and students, this competition celebrates the diversity of ecology. 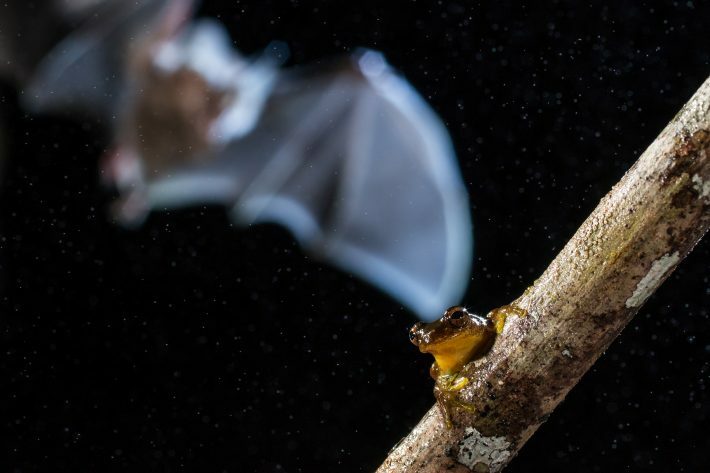 Capturing flora and fauna from across the planet, subjects range from African wild dog research to an artistic take on Galapagos iguanas to images exploring the relationships between people and nature. 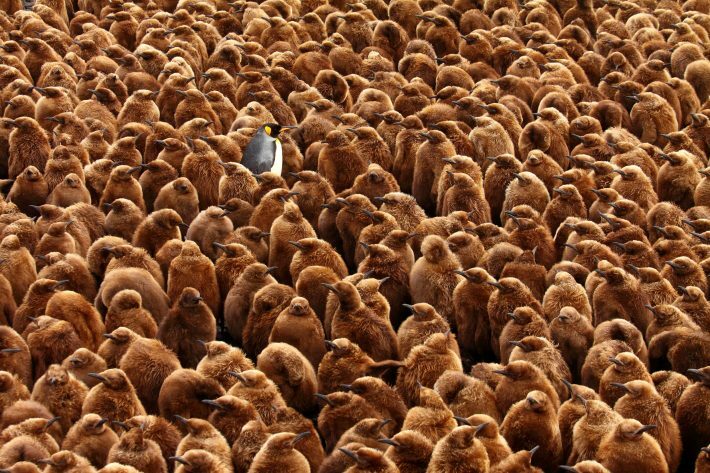 The overall winner is Chris Oosthuizen, from the University of Pretoria, with his image of a lone adult king penguin standing amongst a crowd of chicks on sub-Antarctic Marion Island (part of the Prince Edward Islands). “Although the global population of king penguins is large, populations inhabiting islands around the Antarctic face an uncertain future. Global climate change may shift the oceanic fronts where they feed further away from breeding sites, forcing penguins to travel farther to reach their foraging grounds”, said Oosthuizen of his winning image, which was taken while spending a year on this remote island conducting research on seals and killer whales. Oosthuizen also won the ‘Dynamic Ecosystems’ category with an image of a southern giant petrel preying on a king penguin chick.